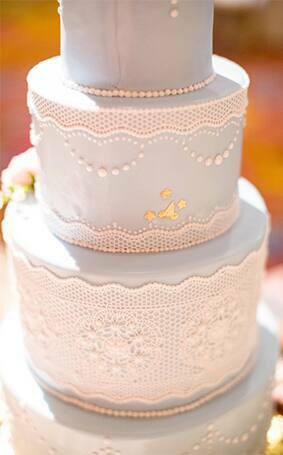 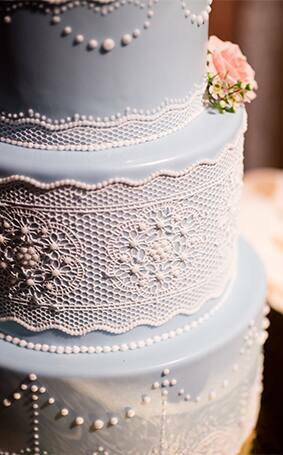 Lace is a beautiful, timeless detail usually seen adorning wedding dresses, but today it's gracing one of our Disney cakes- and I'm in love! 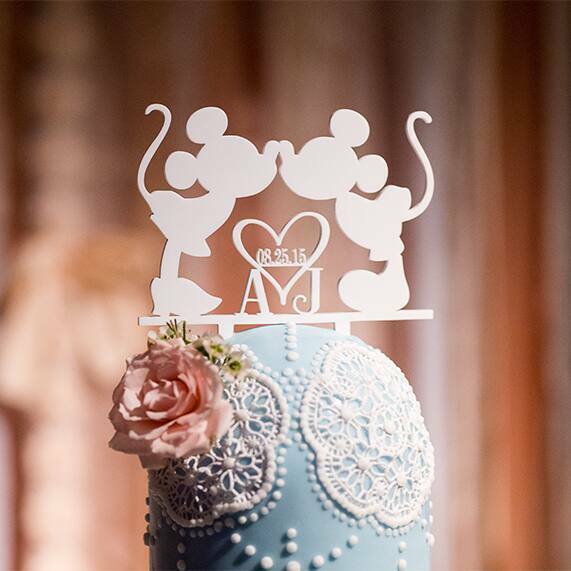 This four-tier Walt Disney World wedding cake is a blend of vintage and modern with its lace appliques and uniquely round top tier. 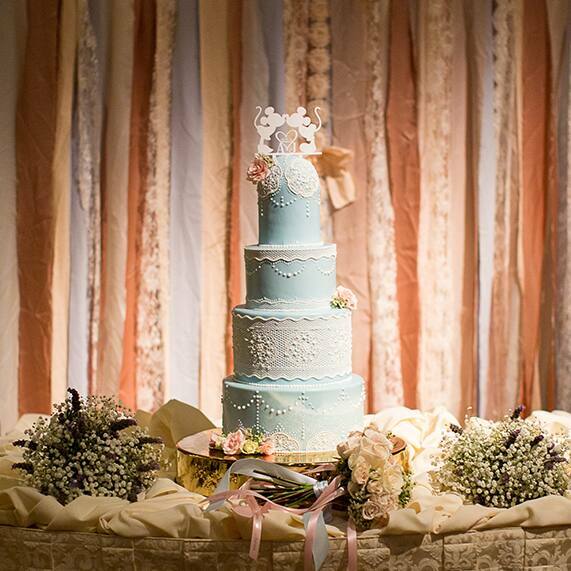 Just when you think it can't get any sweeter, fresh roses add the perfect finishing touch to this "something blue".